Considered booking a Villalba vacation package? It's really easy with Expedia, and you'll be able to buy a few fancy dinners or presents for your friends back home with the cash you save. Crafty travelers can save up to C$590* by securing a combined package deal on Expedia. Click through our universal database of more than 400 airline partners and 321,000 worldwide properties. Too many on there to choose from? Don't stress — we can help you decide! You never have to worry about altering your plans, as we don't charge additional cancellation fees for almost all of our bookings. Preparing to head off on your Villalba vacation? Can't decide what sort of things to include in your travel itinerary? No need to fret — we'll give you some handy hints. When was it built and what went on there? Strive to find the answers to these questions when you visit Parque de Bombas, a building of historic importance. There's an excellent range of things to do close by. If you have a curious mind, it's worth stopping at El Museo Castillo Serralles. You never know what you will learn here! Still got some time on your hands? If you're interested in learning about the local area's history through its landmarks, stick Hacienda Buena Vista on your hit list. Make sure you stop and read any plaques or signs which reveal the intriguing stories behind it. There are currently no Villalba properties on Expedia. However, Ponce, located 12 miles (19 km) away, has a good range of options on offer. The most popular options in Ponce are the Hilton Ponce Golf & Casino Resort, Holiday Inn Ponce & Tropical Casino, Solace by the Sea, Ponce Plaza Hotel & Casino, Howard Johnson Ponce and Meliá Century Hotel Ponce. Make your way through the security gate, hop onboard the plane, find your seat and settle in for the journey! Your well-deserved trip to Villalba is just a plane ride away. When you land at Luis Munoz Marin International Airport (SJU), you will be around 35 miles (56 km) from the central areas. 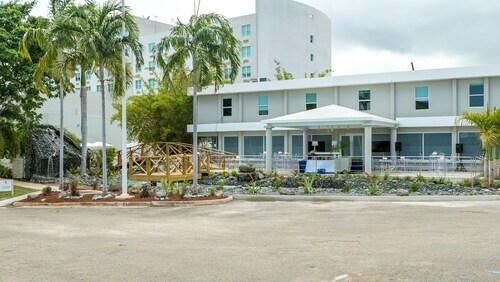 Situated in Ponce, this hotel is within 3 mi (5 km) of Parque de la Ceiba, Museum of the Ponce Massacre, and Museo de la Musica Puertorriquena. 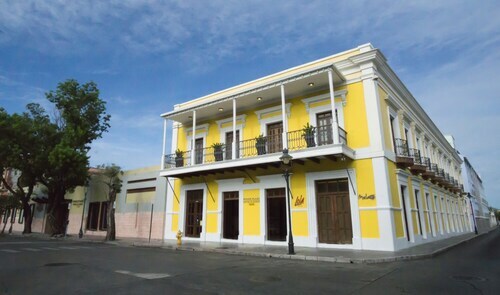 Teatro la Perla and Ponce History Museum are also within 3 mi (5 km). 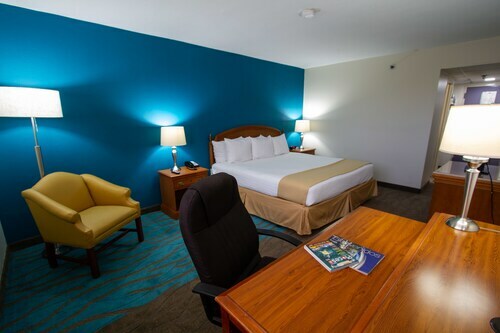 Located in the heart of Ponce, this historic hotel is steps from Casa Armstrong-Poventud, Cathedral of Our Lady of Guadalupe, and Parque de Bombas. 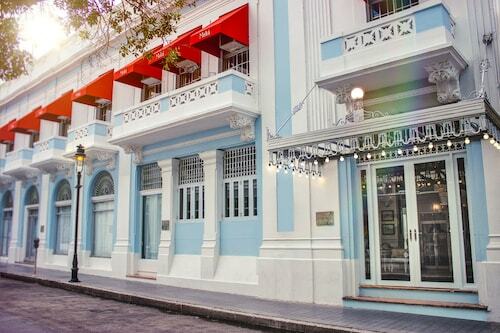 Ponce History Museum and Teatro la Perla are also within 10 minutes. Located near the airport, this family-friendly hotel is 6 mi (9.7 km) from Guanica State Forest and 6.3 mi (10.2 km) from Volkylandia Museum. Playa Cana Gorda and Gilligan's Island are also within 16 mi (25 km). 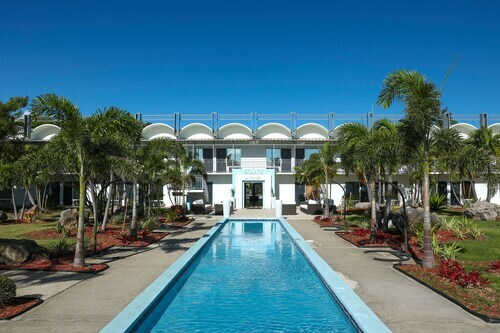 Situated in Ponce, this hotel is within 6 mi (10 km) of Vicens Coliseum, Montaner Stadium, and Casa Wiechers-Villaronga. Parque de Bombas and Plaza of Delights are also within 6 mi (10 km). Located near the airport, this family-friendly hotel is within 6 mi (10 km) of Vicens Coliseum, Casa Wiechers-Villaronga, and Parque de Bombas. Plaza of Delights and Montaner Stadium are also within 6 mi (10 km).